Just two points separate the top five teams after another enthralling weekend of Premier League action with Arsenal right in the mix for a top four finish this season. 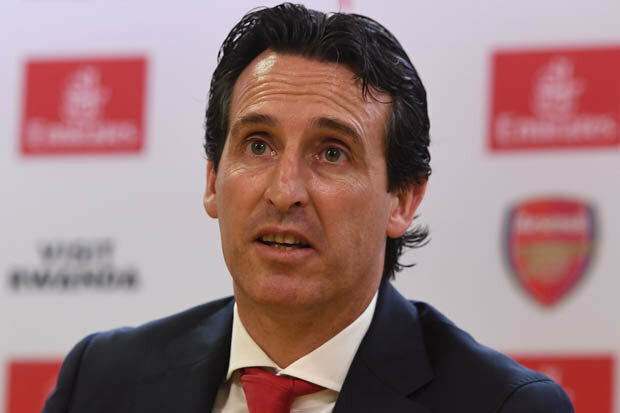 The Gunners have missed out on Champions League qualification for the last two years but a change of management has injected fresh impetus in to the club and Unai Emery has certainly stamped his mark on the squad already. After a difficult start that saw us lose to Manchester City and Chelsea, Arsenal have gone on an incredible run with Sunday’s 5-1 thrashing of Fulham making it nine consecutive victories in all competitions. That impressive run has left us sitting fourth in the table – above Tottenham on goal difference – and with Liverpool drawing with Man City at Anfield, just two points separate the top five teams. Some fans are starting to dream of the title but I think it’s more realistic to talk about finishing in the top four at this early stage of the campaign and Arsenal look like they will be right in the mix for Champions League qualification come May. With 30 league games left to play, Arsenal are currently the fifth favourites with most bookmakers to finish in the top four. Defending champions Man City are 1/200 with William Hill to finish in the top four places while Liverpool are also heavy backed at odds of 1/33, so according to the bookies, we’re fighting for one of the remaining two spots. Chelsea have started the season in fine form under Maurizio Sarri and they are third favourites at odds ranging from 1/4 to 1/7 while Tottenham are 8/13 with most betting companies to clinch the final Champions League qualification place. That leaves Arsenal at odds of 13/8 to force their way back in to the top four – which seems like very tempting odds considering we currently occupy fourth place off the back of an excellent winning run. It looks like the bookmakers still feel Arsenal will fall short this season but the ‘underdog’ role could suit us as we can keep going about our business in the shadows and who knows, we might surprise a few people this season.